The EV rebate in California offers a huge incentive to drive EVs - but it’s not the only one. In addition to the rebate, you should look into other federal, state and local incentives. Read on to find out how. First Off, Why Are There EV Incentives In California? There are many reasons why California offers incentives to get more EVs on the road. California was ranked last for 17 of 18 years for air quality by the American Lung Association. This was before the recent wildfires. On top of that, seventy percent of Californians live in areas with unhealthy air. A lot of this is caused by the ozone (smog) and particle pollution from vehicle emissions. So be sure to take advantage of incentives. By driving an EV you’re doing a service for the environment and the health of other Californians. The rebate for most Californian for purchase or lease of an electric vehicle can be up to $5,000 depending on the vehicle -- and even more for low income residents. A good rule of thumb: $5,000 for fuel cell electric vehicles (FCEVs), $2,500 for battery electric vehicles, $1,500 for PHEVs, and $900 for zero emission motorcycles. You can search for the vehicle and then apply for the rebate before rebate funds run out. Currently, there’s a good deal of EV rebate funds available. So tell your family and friends in California - more people should be driving EVs! Rebates come in the form of a check, and are available for purchases or leases. You can apply within 18 months of the vehicle purchase or lease date. You can also get preapproved for a rebate. The vehicle needs to be registered as new in California. It can’t be purchased, leased, or delivered out of state. The lease term needs to be for at least 30 months. The odometer reading must be below 7,500 miles at the time of purchase or lease. Higher income consumers in general are not eligible for the rebate. This income cap applies to all eligible vehicle types other than fuel-cell EVs. It is currently $150,000 for single filers, $204,000 for head–of–household filers and $300,000 for joint filers. The EV rebate increases by $2,000 over and above the general rebate for low and moderate income Californians. You’re eligible if your household income is less than or equal to 300 percent of the federal poverty level. The increased rebates are for fuel-cell electric vehicles, battery electric vehicles, and plug-in hybrid vehicles. Note that you’re not eligible if you’re claimed as a dependent. Bay Area low income residents may also be eligible for funding to replace older polluting cars with clean electric vehicles. There are also low-income household discounts of 12% to 30% on your household electric bill through the CARE and FERA programs that can help with vehicle charging. You can enroll here if you have not already. Beyond the rebate, there are other statewide, local and utility incentives. You can get a Clean Air Vehicle sticker. You can then use HOV lanes regardless of the number of occupants in the vehicle. Your vehicle is also then eligible for reduced rates or exemptions from toll charges for HOT lanes. Small businesses in California can get incentives to help with the design, development, purchase, and installation of EVSE. It’s a great idea to encourage businesses you frequent or your workplace to look into this program. Beyond the statewide EV incentives, you might be able to find some local or utility EV incentives as well. These can include more rebates, special loans, low-cost home charging rates, etc..
You might also qualify for up to a $7,500 tax credit from the federal government. Combined with the CA incentives, your savings could be huge. Get more info on the Electric Vehicle Federal Tax Credit. Incentives certainly help, but many EVs already cost less than equivalent gas cars over their lifetimes due to cheaper fuel and less maintenance. Per mile, electricity is already ¼ to ½ the cost of gasoline. You can charge EVs at home overnight and even find free EV charging stations near you. And just think about how great it will be to never have to go to a gas station again. By driving an EV, you’re keeping our air cleaner and our climate healthier. You’re benefiting other Californians. You deserve to take advantage of these incentives and feel great about driving your EV. 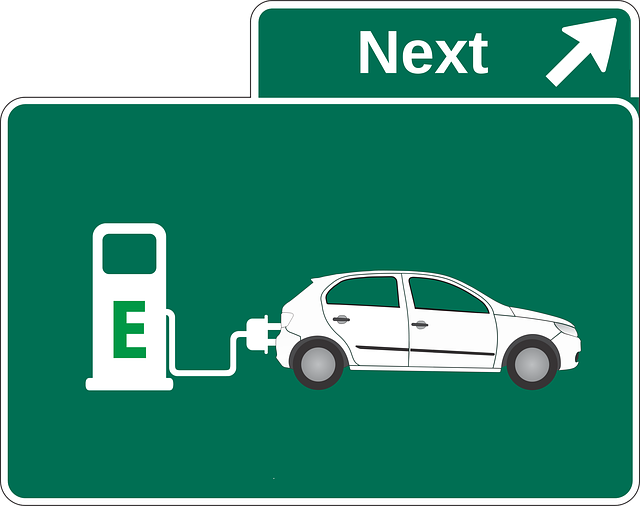 We’re publishing more and more information for EV drivers. Don’t miss out!